Big news has arrived from Cupertino, California: Not only has Apple been working on News+, a new way to access top magazines and other curated content, the tech company has also announced that mobile users can check out the service entirely for free. As revealed during today's Apple livestream presentation, News+ will be available to users for just $9.99. However, those who may still be on the fence can check out the service for free thanks to a one-month trial that's available starting today. 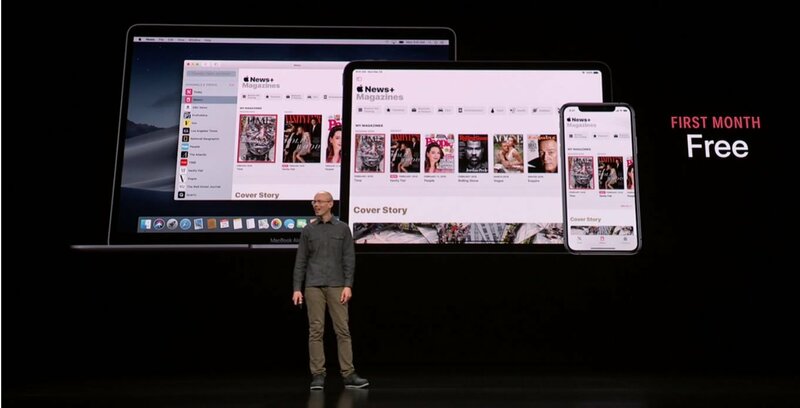 There are a lot of excellent features to Apple News+: over 300 magazines are available on the service, free for users to read cover-to-cover or pick through at will. Among many of the featured publications in Apple News+ are Essence, Wall Street Journal, and the Los Angeles Times. Apple has even put special consideration into how stories are displayed as well as how users are tracked. Toward the latter front, they aren't: Apple has made it a point to ensure mobile users aren't being tracked by advertisers. Users can read whatever they like, whenever they like, without concern that someone is going to further monetize their interests. Apple News+ does not allow advertisers to track reader behavior. iPhone users are still free to use the Apple News app as they have before — News+ is intended as a more premium service for readers who are particularly interested in soaking in more popular media. The savings are technically tremendous: Apple says it would cost over $8000 for access to all of the publications featured in Apple News+ for just $10 a month. Apple News+ launches today, March 25. iPhone and iOS users can find the app for download over on the iOS App Store. For a closer look at the features offered in the service, head on over to the official Apple website. For the rest of your mobile news needs, check out the Modojo @ Shacknews home page.